In the video below, members of Korn look back on their emotionally charged song “Daddy”. For the past 20 years Korn has avoided performing the song because it was always too hard on frontman Jonathan Davis. This year at the Las Vegas Brooklyn Bowl they sang the track for the first time, as part of their 20th anniversary tour kick off. The devastating track recounts Jonathan Davis being molested as a child. The original recording of “Daddy” ends with four minutes of Davis sobbing in the vocal booth. Davis had no idea the producer, Ross Robinson, was still recording at the time. Davis didn’t try to copy that emotional moment as Korn performed the album-closing track on March 13th. 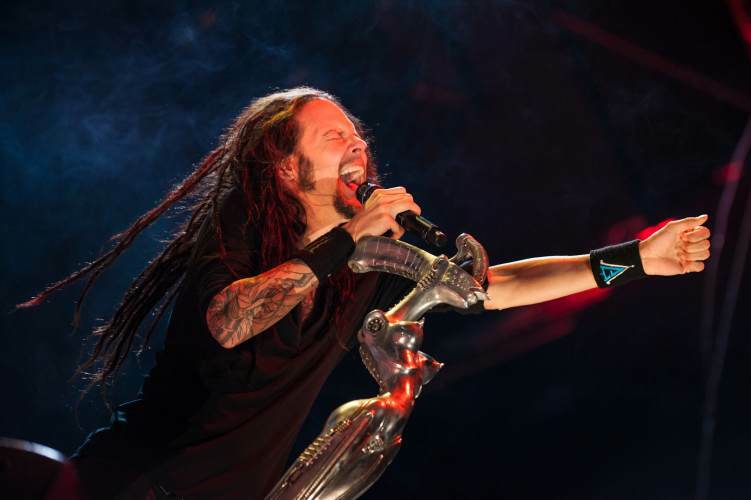 Also See: 20 Insane Moments From Korn’s 2015 Tour- And It’s Not Over Yet! Hear more about the song, from the members of Korn, in the video below.